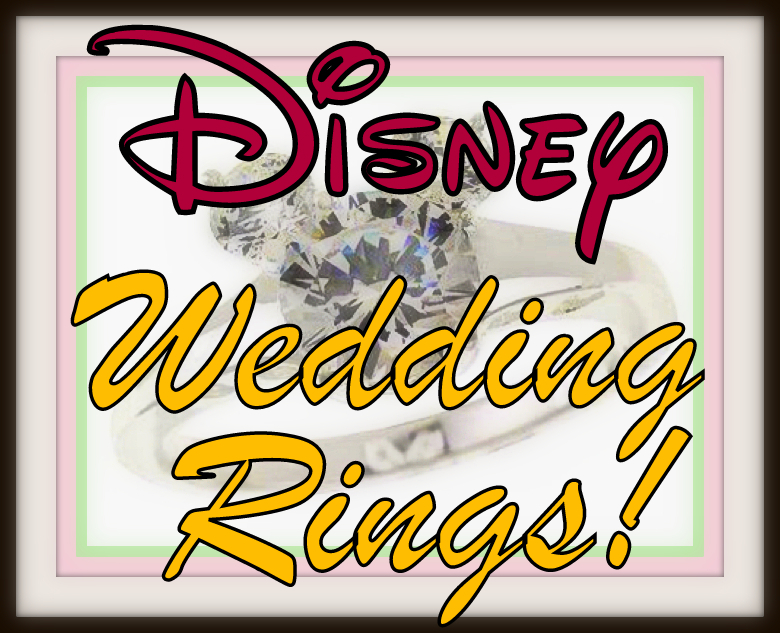 Fabulous Disney-Inspired Wedding Rings, Perfect for a Disney Princess! 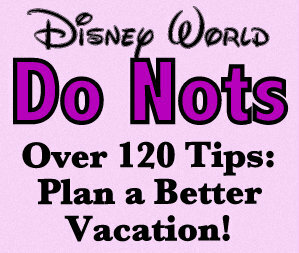 There are so many people who LOVE Walt Disney World. 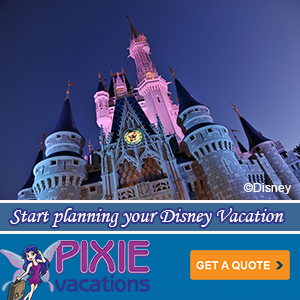 If you’re one of those people, chances are you have dreamed about a wedding for yourself or your child on the Disney property, or maybe you’ve even thought about renewing your wedding vows in Orlando. What better way to show your love for your future (or current!) 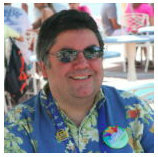 life partner than a beautiful ring, and what better way to show your enthusiasm for your favorite vacation destination than by adorning it with Mickey Mouse! 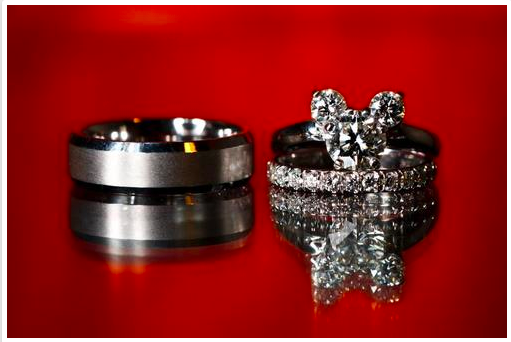 We searched the Internet for images of rings with a Mickey Mouse-Disney theme. Sometimes we can locate the original source of the image, and we’ll provide links so you can see them for yourself. While at other times, the images don’t seem to have a place of origination. In this case, if you decide this is the ring you just have to have for yourself, a trip to a local jeweler with a photo could be the route you need to take. 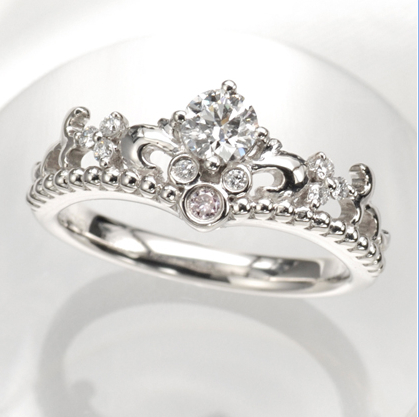 This ring was pinned on Pinterest from a Tumbler site called everythingdisney.tumbler.net. Use this link to find it here. 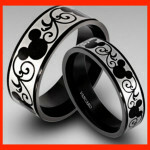 This Disney ring set, one of my favorites, appeared on Pinterest from a site called weheartit.com. Use this link to see it here. How Much Will a Trip to Disney’s Senses Spa at Saratoga Springs Cost You? 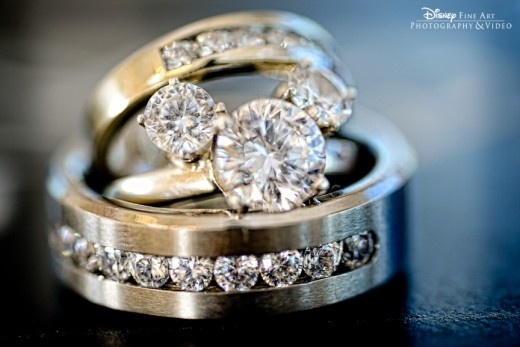 This beautiful ring set comes from Disney Fine Art Photography & Video. 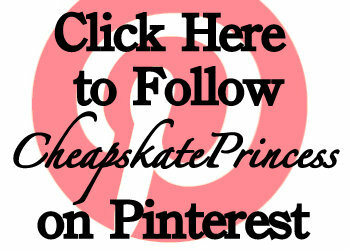 Pinterest is filled with absolutely amazing photos from this company. It’s well worth your free time to look around their site. I found this ring on Pinterest, but there seemed to be no store or article of origin. 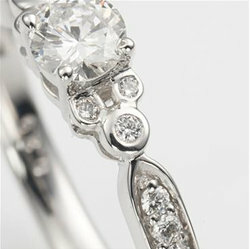 I bet a quality jeweler could easily design this for the right bride. 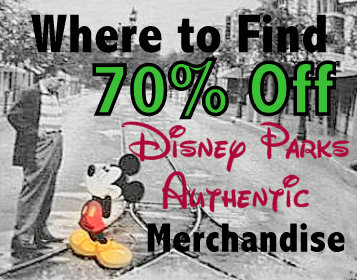 Under $20, See Why the Pick-A-Pearl from Disney World is a Must-Do! 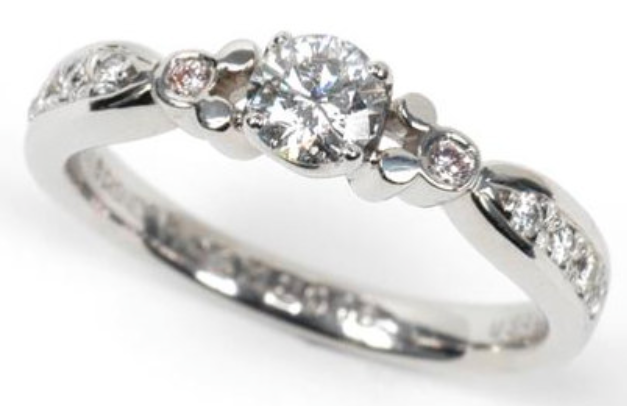 When we published this article in March of 2014, we noted that this particular ring has been making the rounds on Pinterest for years now, unfortunately with no point of origination. And then we were contacted by the actual owner. And now you know who owns this stunning ring. 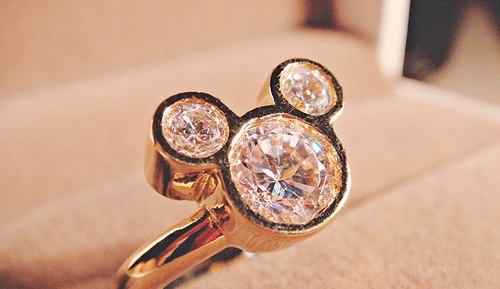 The engagement ring below was located on the Japanese Disney Store. Since I do not speak Japanese, I have no idea about the actual cost, which was listed at 540,000円. (??!!) Use this link if you read Japanese! McCool commented below to tell us the exchange value for this ring would be about $5,000 in U.S. currency. 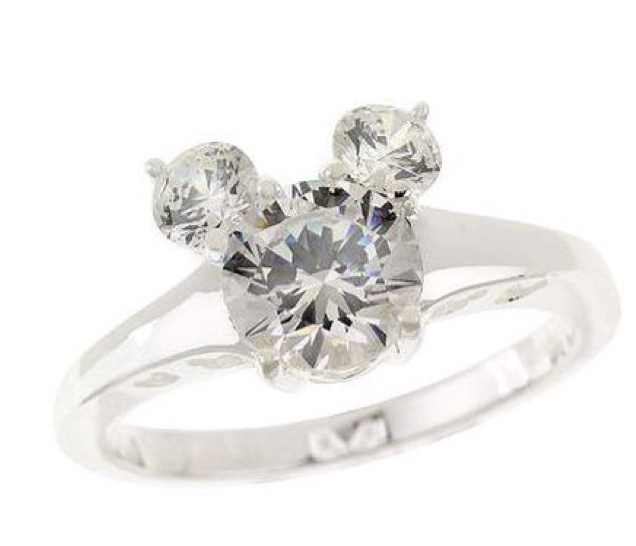 This engagement ring set was found on Pinterest, and it reportedly originated from the Japanese Disney Store as well, although I could not find a current link. This ring was found on Pinterest with no store location or article of origin. 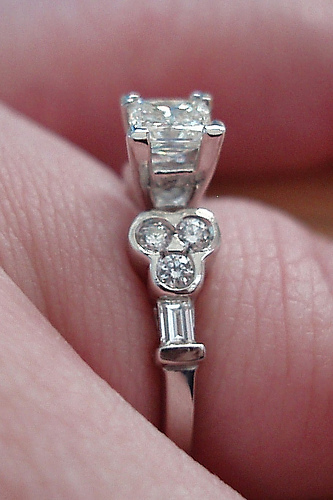 This ring was also found on Pinterest with no store location or article of origin. 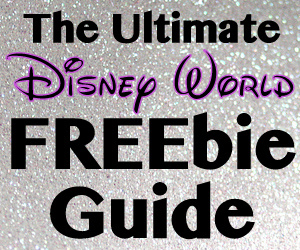 Free Cinderella Manicure Instructions, Perfect for the Disney Princess on a Budget! 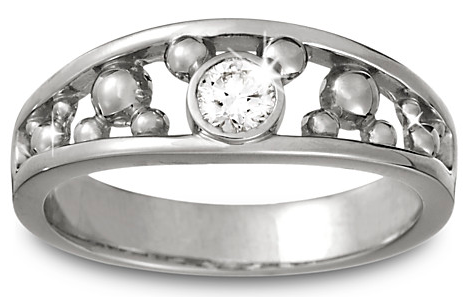 Many people do not realize the Disneystore.com sells what could pass for engagement rings. 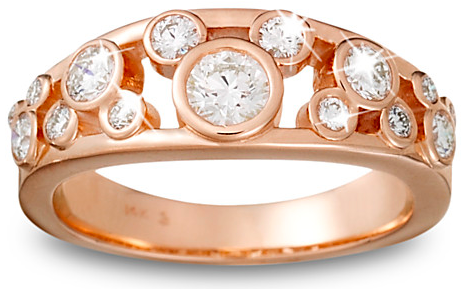 This diamond Icon Mickey Mouse Ring for Women in 14K Rose Gold retails for $3950 before taxes and shipping. Use this link for details and ordering information. This 14 KT gold and diamond Mickey Mouse Ring, from the Disney Dream Collection, retails for $500 before taxes and shipping. Use this link for details and ordering information. 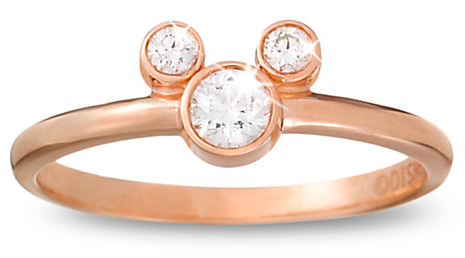 This diamond petite Icon Mickey Mouse Ring, in 14K rose gold, retails for $1200 before taxes and shipping. 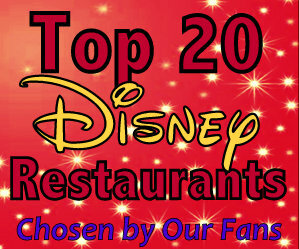 Use this link for details and ordering information. 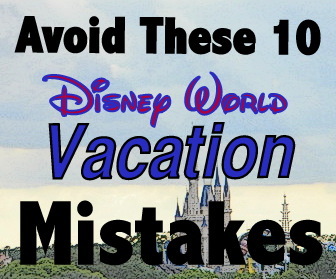 To Save Money, Should You Buy Disney Souvenirs Before Your Vacation? And gentlemen, if you really want to step it up a notch, go platinum! 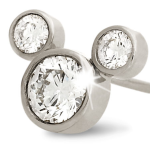 This Mickey Mouse diamond ring for men in platinum retails for $590o before taxes and shipping.. Use this link for details and ordering information. 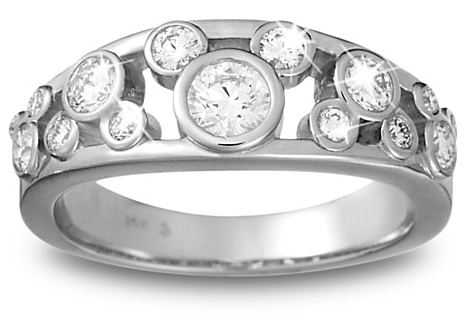 This Mickey Mouse diamond ring for women in platinum retails for $6075 before taxes and shipping.. Use this link for details and ordering information. Another cool idea for a Disney-inspired touch for your wedding is to have a Disney quote inscribed on the inside of your wedding bands. This photo came from gemvara.com. 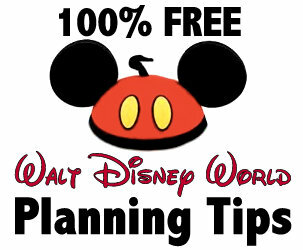 Can’t Afford a Wedding at Walt Disney World? The Next Best Thing is Totally FREE! 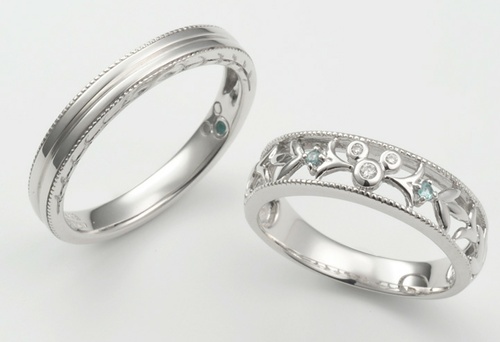 There you have it, engagement and wedding Disney-inspired rings for the lovers and the Disney lovers at heart, all fit for a Disney Princess. 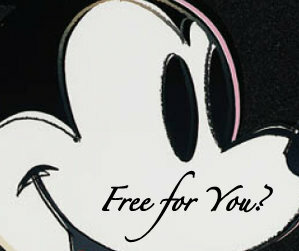 So tell us, would you purchase a Disney-themed engagement ring or would you prefer something more traditional? 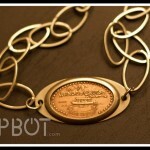 Cool Disney World Pressed Penny Jewelry!